A lot has been written about how the Bosch L-Boxx system helps contractors organize their tools and move them to and from the job site. Instead of writing yet another overview of what types you can buy, I figured I'd provide you with a critical review of how well these boxes stand up to the demands of the job site. Let's take a look at how the sleek looking Bosch L-Boxx cases stand up to rigors of the real world. As a system a stack of L-Boxx cases fulfills it purpose. 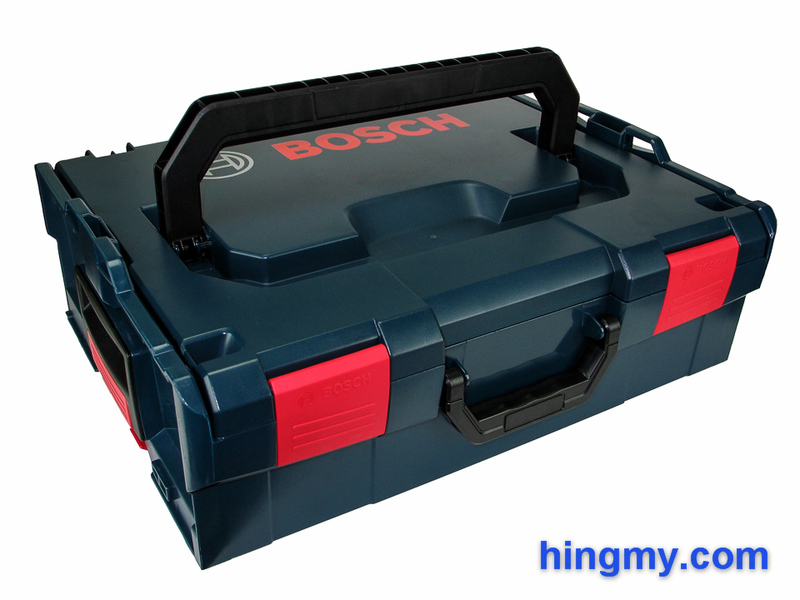 When used in combination with the Bosch inserts each box efficiently and conveniently stores one or two tools. Getting the boxes to the job site and back into your shop is significantly easier than doing the same with a collection of custom boxes. The "click and go" part of the system works like a charm. Two boxes click together in seconds. Simply lowering a box onto another is enough to create a stack. This makes cleaning up after a long work day that much faster. Moving a stack is indeed much easier than moving several individual boxes. Keeping your tools in project specific stacks speeds up the work. You'll have to come up with your own way of labeling your boxes. Bosch does not even include a simple sticker for you to use. Only the top box in a stack can be opened. The way the boxes lock together makes it physically impossible to open boxes at the bottom of a stack. While this is certainly a minor gripe, you'll be surprised how often you'll want to get at something in one of these boxes. Bosch does not advertise the weight capacity of the different L-Boxx types on their website. This is probably because the design load seems to be pretty low. All parts of an L-Boxx have no problem standing up to the weight of one or two power tools secured in one of the custom inserts. 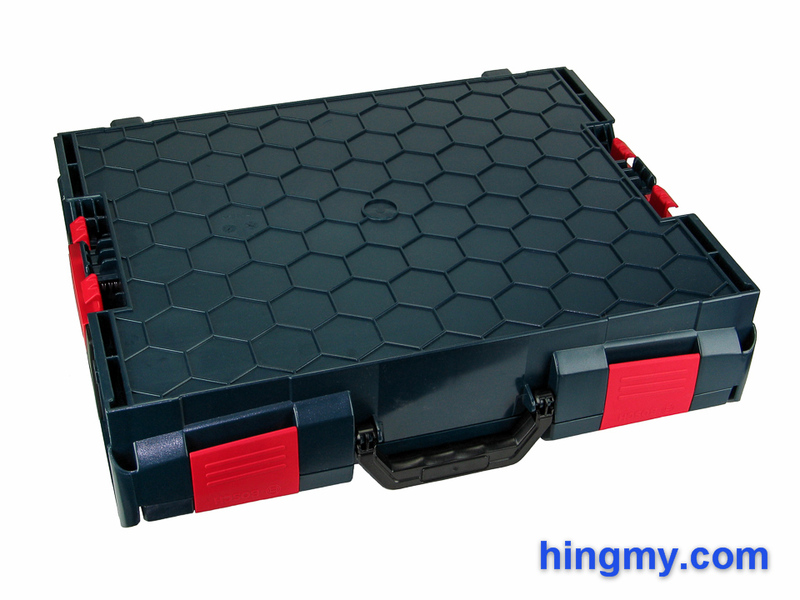 Fill a box with screws and fasteners and the top will flex every time you pick up the box. The L-Boxx will still do its job, but the extra strain on every part shortens the life of the box dramatically. The hinges and handles are the weak points. The larger L-Boxx types are particularly vulnerable to overloading. You can very easily fill an L-Boxx 4 with power tools, only to break the top handle off a few days down the road. The smaller boxes, on the other hand, are relatively strong. It also very hard to overload them short of filling them with metal. It's important to note that the low weight capacity of the boxes does not immediately disqualify the L-Boxx system. It merely means that you should not use the system for hauling recycled metal. 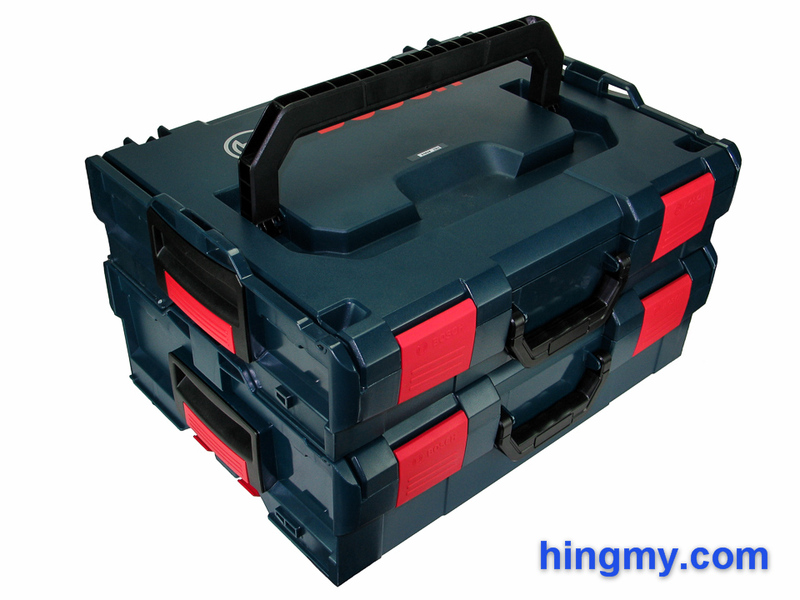 The L-Boxx system is about storing at couple of tools in each box with a generous amount of air space around them. Don't expect to fill these boxes to the brim. The large plastic handle in the lid of each box was designed to be the primary way for picking up an L-Boxx or a small stack. Friction secures the handle in both the down and up position. Much sturdier than the top it is attached to, the handle is unlikely to break prematurely. The handle of each L-Boxx is strong enough to support the weight of a stack. If you put too much weight into a box, the top of the box is going to bulge upward giving you a visual warning of what's likely going to happen next. The briefcase handle on the long side of the smaller L-Boxx designs is a more convenient option for carrying a box in each hand. Held vertically on edge a single box is much easier to carry keeping its weight inline with the shoulder joint of the user. Again the handle itself is well engineered. The mounting points, on the other hand, are much weaker. They'll likely support the design load of the smaller L-Boxx types, but even that may be a gamble. The side handles are barely large enough to be called that. A small 3/8" deep recess shaped to look like a handle is barely deep enough for your finger tips. Carrying even one of the smaller boxes using the two side handles is uncomfortable. Most users will simply ignore the handles and carry the boxes by their bottom edge. On the plus side these handles do not take up a lot of room leaving more horizontal space for the box's interior. With regards to durability the designers of the L-Boxx system clearly concentrated on contractors who own their own tools. When handled with the care and attention that comes from having to purchase your own tools an L-Boxx is able to stand up to job site use. You can move one around without having to be delicate with it. The box's exterior is going to show scratches in short order, but no part of the box is going to break. When you run a work crew that includes some less than motivated workers, the limits of the design will become apparent very quickly. Rough handling that does not quite rise to the level of malicious abuse will quickly damage an L-Boxx. Drop a stack instead of setting it down, throwing a box into the bed of a truck from a few feet away, using a box as a step stool, and other fairly common situations on the job site will break an L-Boxx in only few a days. The box won't fall apart, but bits and pieces will break off very quickly. If you pick up an empty box and throw it as far as you can down down the sidewalk, it would take only a few tries to damage an L-Boxx. While this sort of test seems irrational at first, other storage solutions would not take any damage from this sort of treatment. The definition of industrial quality includes making it hard for the operator to damage the object. While technically not waterproof, an L-Boxx left out in the rain will protect its content fairly well. 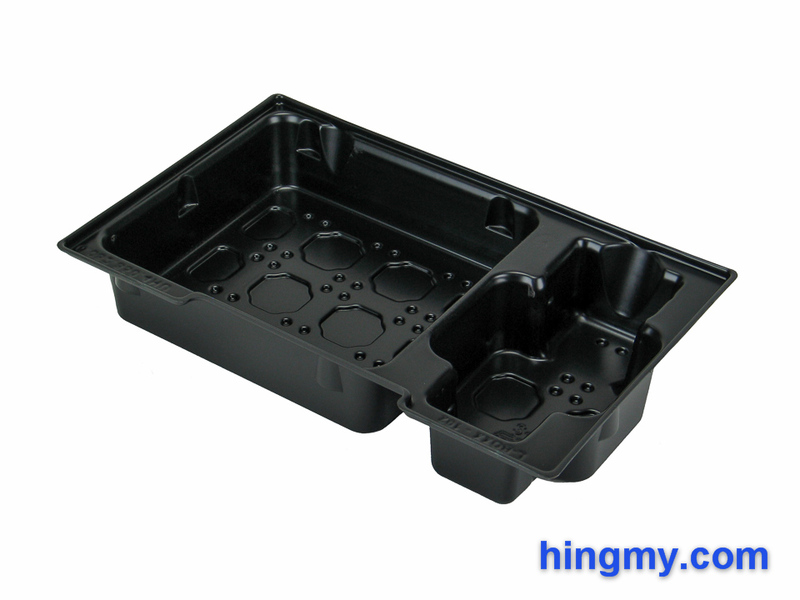 The lid is molded in such a way that water coming from directly above will not make its way into the interior. You can leave a stack out in light rain, but prolonged exposure to heavy rain will likely result in water finding its way into the interior. Keeping these boxes in the bed of your truck parked in your driveway is not an option. Security was a clear afterthought for the L-Boxx designers. Two holes drilled through the side of the lid, one on each side, act as the mounting points for padlocks. Two locks are required to securely lock the box. Installing only one lock still allows a perpetrator to pry open the other side. A quick, violent pull is all that's needed to break to lid wide open. Boxes locked with padlocks can no longer be stacked. The padlock is in the way of the box trying to dock from above. Lock boxes together to make it harder for a thief to make off with them is also not possible. Once you decide to lock your L-Boxx collection at the end of each workday, the entire value of the stacking system goes out the window. 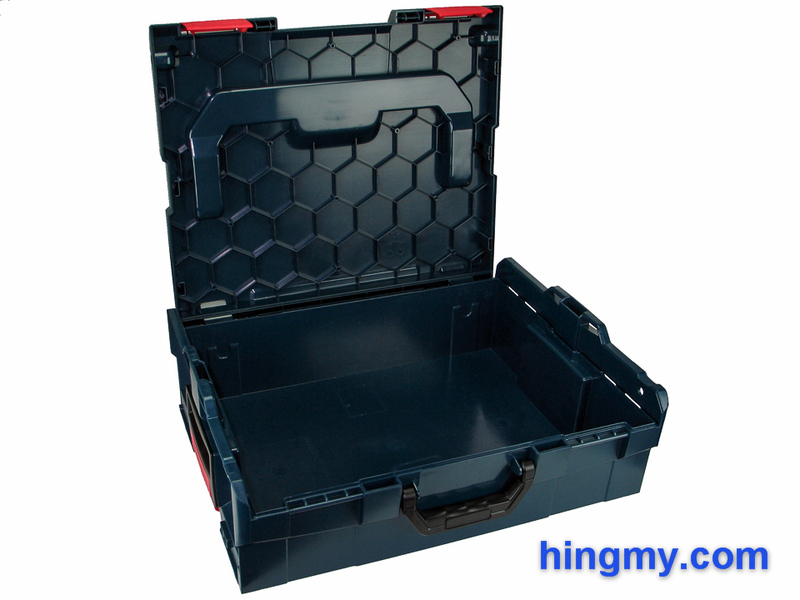 In all practicality you should consider an L-Boxx to be a non-secure container. Installing two padlocks on each box you own is pure nonsense. These are not boxes you can leave on the job site. Bosch sells custom vacuum formed plastic insert to secure tools in the box and keep them from moving around freely. Each insert is made to fit a specific tool. 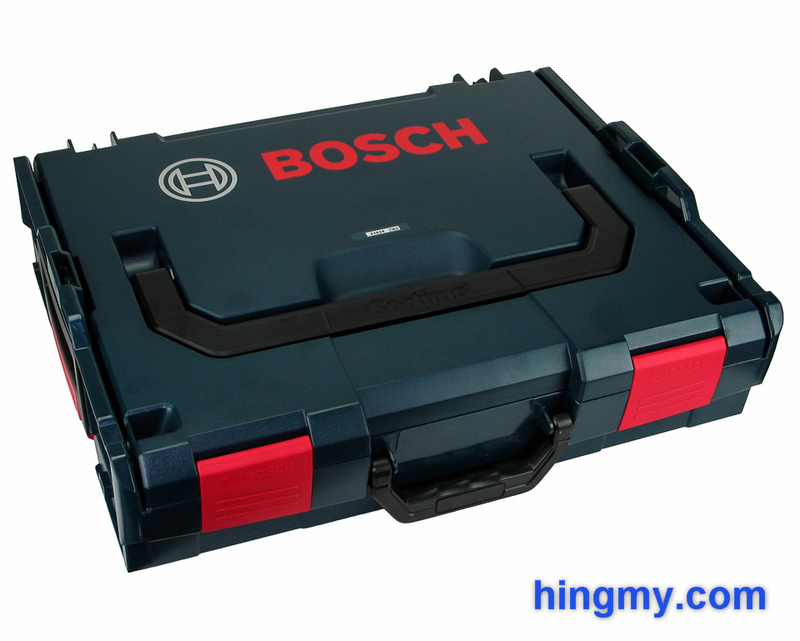 Most new Bosch kits include the matching insert you can use in your L-Boxx collection. There are no inserts for third party tools. Bosch recommends using the foam insert for these applications, which transforms an L-Boxx into an universal container. The inserts perform their function well. Made to fit the inside of an L-Boxx precisely, each insert locks into place with little movement. Any tools stored in such an insert are held securely and are protected from damage during transportation. 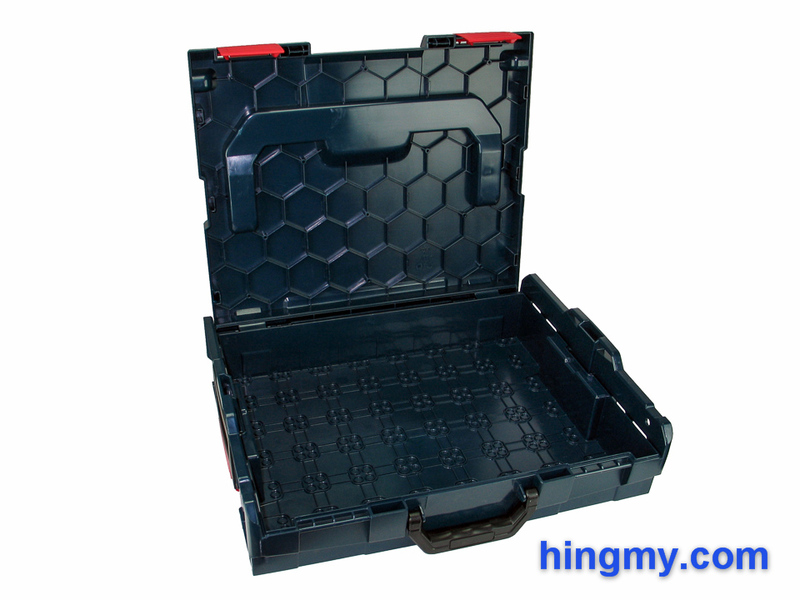 The plastic used in making these inserts matches the durability level of the L-Boxx itself. The material is thick enough to perform its job, but it won't hold up to abuse. For example, if you carelessly drop your driver into the insert bit-end first, you'll likely puncture the insert after only a few tries. Things like saw blades and drill bits will shred an insert in no time. Forget about storing sharp things like screws in the generic inserts. You'll have to purchase one of the thick-walled L-Boxx inserts designed for that task. The Bosch L-Boxx system is an excellent choice for the contractor who owns his or her own tools. The durability, load capacity, and build quality are all good enough to allow a moderately careful professional to work unencumbered. In this sort of environment the L-Boxx system will make you more productive. If you are running crews, some of which may include workers you don't fully trust, you'll quickly find that your L-Boxx cases come back damaged from the job site. An L-Boxx is not sturdy enough to stand up to careless handling. There are simply too many ways to break an L-Boxx, or what's contained within, without having to do something malicious. An L-Boxx is a very poor way to secure your tools on the job site. It takes two padlocks to lock a single box, and the locked box can no longer be part of a stack. As a rule, an L-Boxx is only safe from thieves, if it is in a theft-proof container itself.